LAWRENCE – Explore the artists, meanings and stories behind the state’s rich collection of public murals with Kansas artist Dave Loewenstein at a talk next month at Lawrence Public Library. The University of Kansas Humanities Program, KU Department of Visual Art and the public library will host “If These Walls Could Talk: Kansas Murals” at 7 p.m. April 2. The event is free and open to the public. Loewenstein will explore the history of murals and examine the efforts that go into capturing a community’s story in public art. From the iconic John Steuart Curry murals in the Kansas Statehouse to the post office murals of the New Deal, these works tell us much about the people involved. 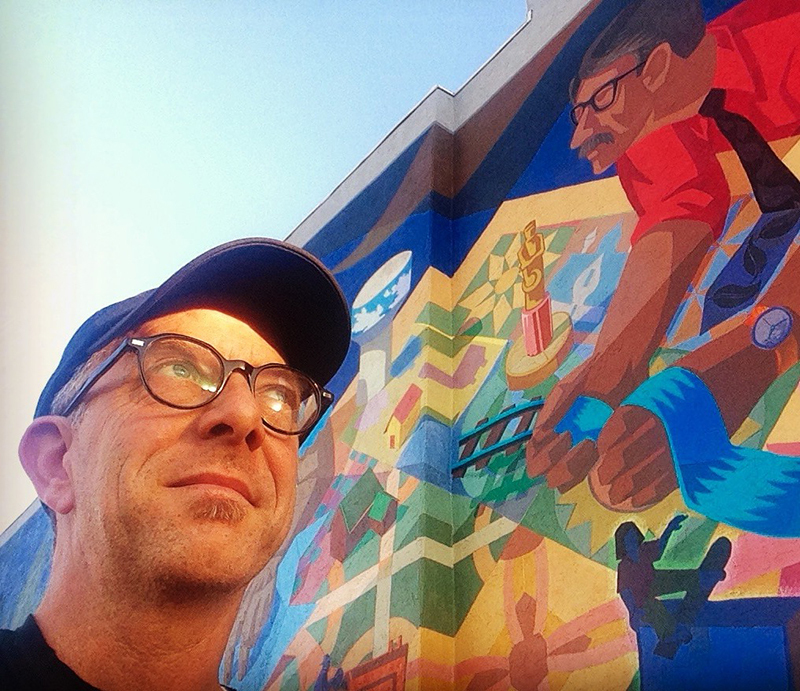 Loewenstein is a muralist, printmaker, arts organizer and co-author of "Kansas Murals: A Traveler’s Guide." In addition to his more than 20 public works of art in Kansas, Loewenstein has created work elsewhere in the U.S., Northern Ireland, South Korea and Brazil. “If These Walls Could Talk: Kansas Murals” is part of Humanities Kansas's Movement of Ideas Speakers Bureau, featuring presentations and workshops designed to share stories that inspire, spark conversations that inform and generate insights that strengthen civic engagement. For more information, contact the KU Humanities Program at 785-864-3011 or visit hum@ku.edu.